A limited-edition work of art. Each professionally crafted Woodrow guitar is a highly collectible, limited-edition work of art. Each Woodrow NorthEnder receives its own delicate limited-edition engraving on the metal plate, located at the base of the neck on the guitar’s body. Whether you have a big gig, or just want to show your friends that you’re a die-hard collector and fan, think Woodrow. Available in your favorite NHL, NFL or NBA team. Built with a gorgeous rosewood fret board and a solid maple neck, you can rely on these professionally crafted guitars to keep rockin’. 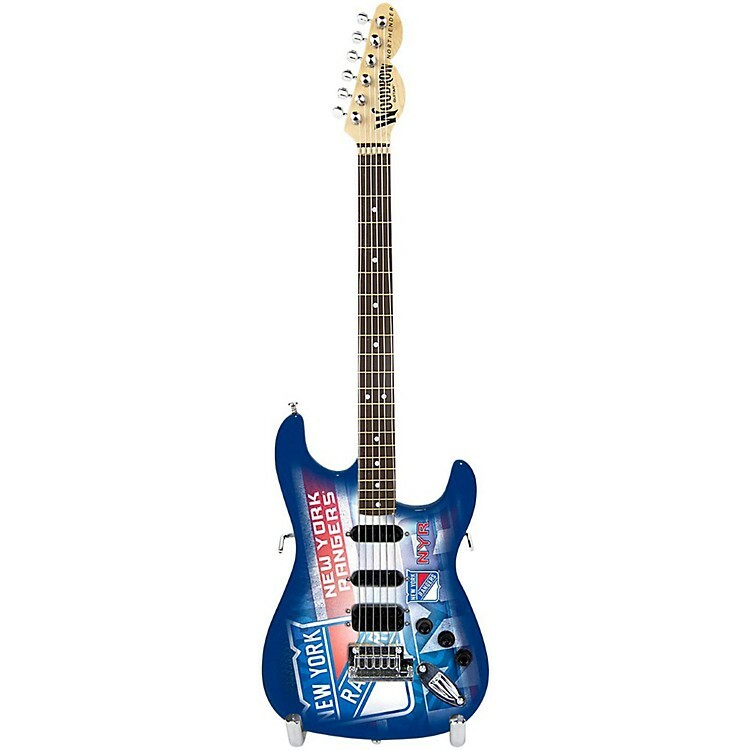 With spectacular graphics designed in North America, your limited-edition Woodrow NorthEnder guitar will be the envy of your friends’ fan-caves and offices. Guitar stand and black Woodrow-branded gig bag is included with the purchase of each NorthEnder guitar. Packaged individually in a lightweight, easy to carry box.